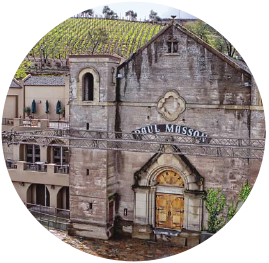 The Mountain Winery uses Landport for Preventive Maintenance, resulting in improved communication and efficiency. The Mountain Winery, surrounded by impressive vistas, lush landscaped gardens, and coastal redwood groves unique to California, is a popular venue for weddings, corporate meetings, dinner parties, retreats, and holiday parties. Each of the Winery’s unique venues require proactive maintenance and careful handling by skillful vendors in order to maintain the “wow” factor for customers—but that wasn’t what was happening. The maintenance process was disorganized and reactive, leading to ineffi ciencies. They often found themselves scrambling to get the job done—while lacking a way to communicate. Landport quickly uploaded the Winery’s information into the web-based system, customizing it to fit the Winery’s specific needs--all at a doable price. Training was easy and fast. Detailed reports, specific preventive maintenance components, and workflow and maintenance organization were immediate and visible. The Winery saw results within a few hours of implementation, tailoring the system to address individual venue needs. The system solved workflow problems and increased efficiency at an affordable price. Landport helped us completely revamp our property management operation at a very competitive price. Results The system solved workflow problems and increased proficiency at an affordable price.